We were fortunate to have a sneak peak at the new Spineless exhibition at the Great North Museum yesterday – it is fabulous! There is something for everyone in the family, with enough to interest and amuse visitors both young and old. 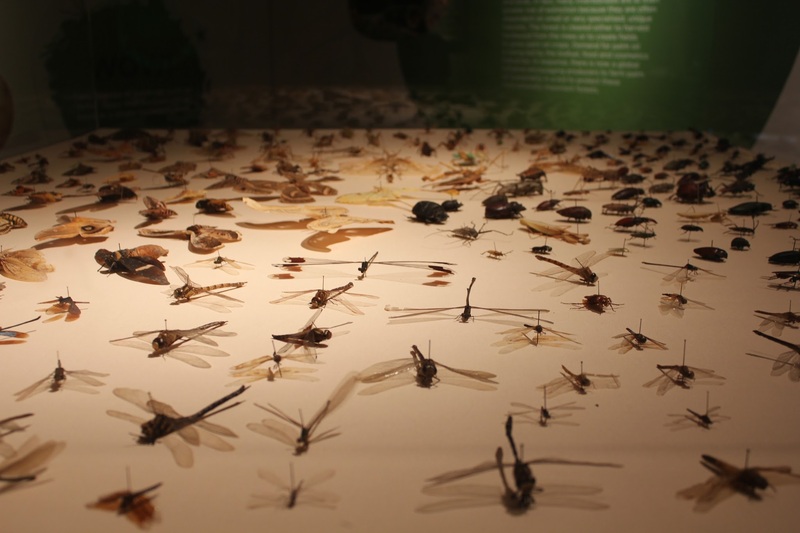 The exhibit showcases spiders, sponges, some beautiful beetles and gorgeous butterflies among many other diverse creatures that don’t have backbones. 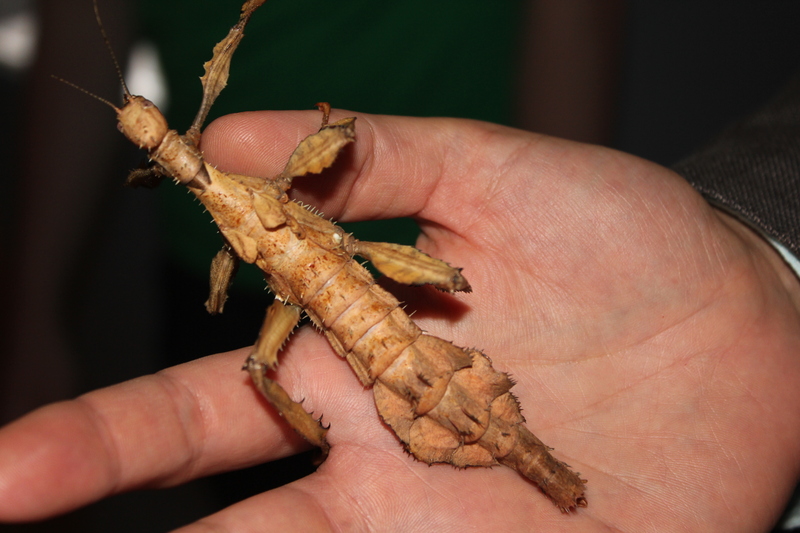 There are live specimens like the world’s largest spider, and regular curator-led live animal talks all through the exhibition which is on from Saturday 1 August – Sunday 1 November. You can see live exhibits in the tanks along one wall on display – I particularly liked to see the leeches swimming about. 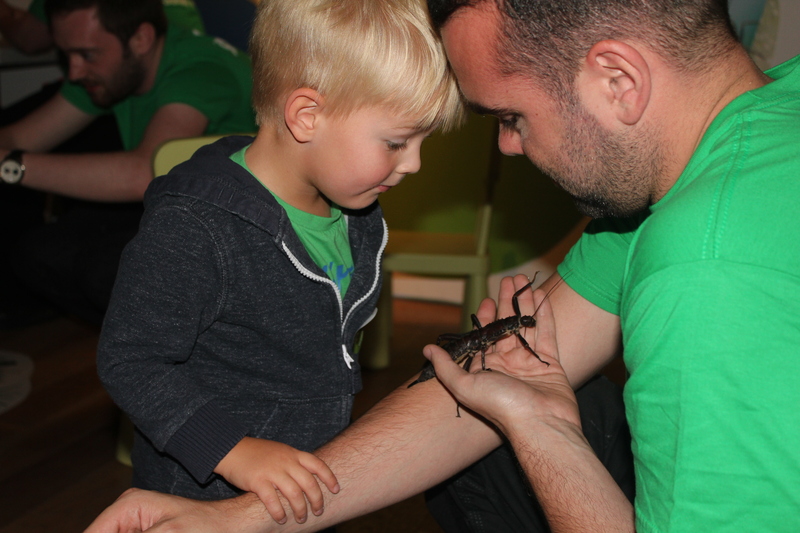 There are three opportunities to get up close and personal with mini-beasts every day, although you can’t hold the creatures for their safety. I found it so interesting to see these invertebrates and to hear facts about them from knowledgeable, passionate curators. 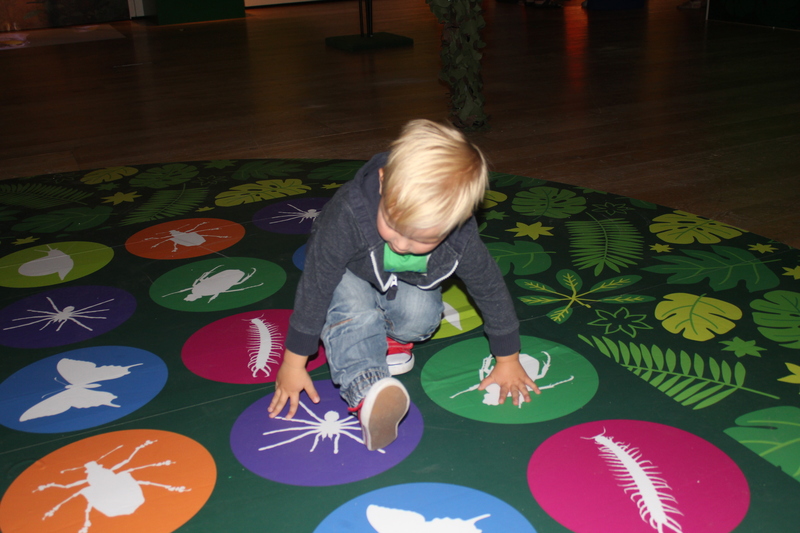 James loved to see these bugs, and had no qualms about stroking them, maybe full of bug-handling confidence since his encounter with ladybirds recently! 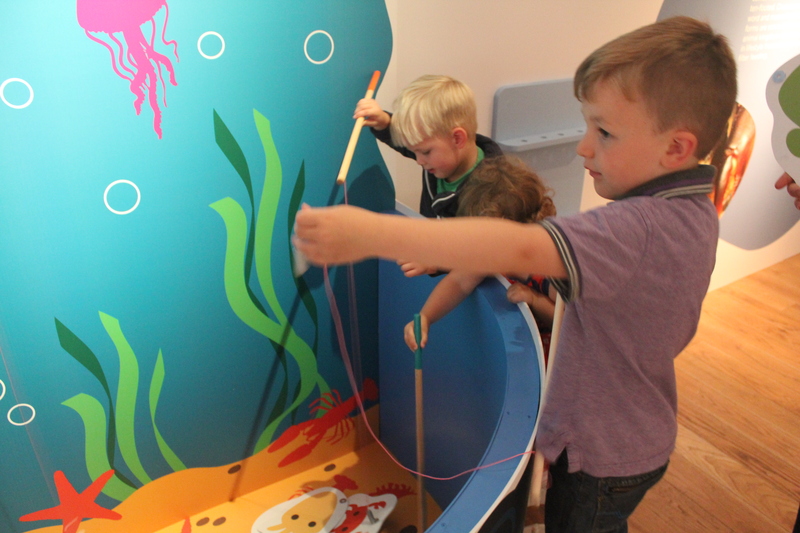 There are activities throughout the exhibit in the Great North Museum, such as this fishing game, which really grabbed the attention of all the children. They all enjoyed picking up a fishing rod with a magnet on the string, and dangling it in a ‘pool’ to try to catch an invertebrate. Not all the creatures in the ‘pool’ were spineless, but there is a fact on the back to learn about those that are, before throwing the card back in. As well as puzzles, videos and other interactive features, there is also a specially-commissioned comic available in the exhibit or online. It’s a great way to take home the learning! Additionally there is a version of that classic game Twister, with two huge dice to throw to find out which body part you need to put on the right bug picture. I loved that there is a cosy reading corner, filled with bug related books! There are also interesting displays throughout, some of it so relevant to our local area, especially the underwater creatures – there are loads of lobsters and crabs in the North Sea. In the final room of the exhibit there are more child-focussed activities, including a baby corner, which is fenced off with cute white picket and has cushions and musical instruments in. There’s also a trampoline, so you can jump as high as a flea, and a climbing frame. I wasn’t sure of the shop being in the play area. I think there might be a few tears when children pick up a cute octopus only to be told they can’t play with it because it’s in the shop, because the area is not clearly defined. Maybe they’ll move the shop part outside? James absolutely loved dressing up in one of the collection of costumes. 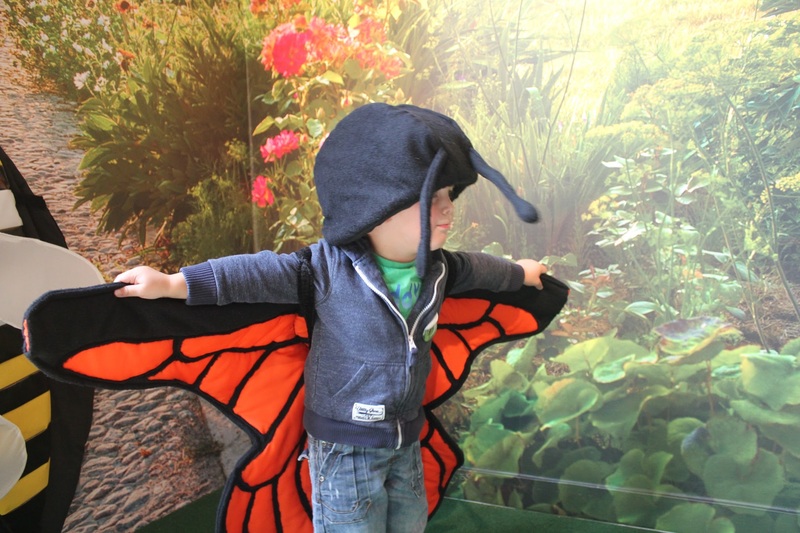 He flew around as a butterfly so fast that I couldn’t get a good photo of him, but suffice to say he had a grin on his face the whole time. We loved this exhibit. Noah slept all the way round, but I was thrilled to see that even he had been thought of with the story corner and baby area in the play room. The Great North Museum has lots for children to do in all their other permanent exhibits, and you can easily spend half a day here. We were in the Spineless exhibit for about an hour, but didn’t look at everything closely, so it would be easy to take your time and enjoy it for longer, especially if you take a mini-beast fantatic!